Combineren met Stella Hyper Drystar jas. 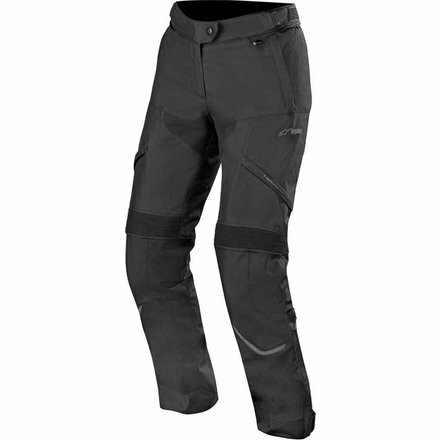 An excellent and versatile all-weather sport touring pant optimized for women riders and packed with class-leading protection, the Hyper DRYSTAR® Pant incorporates a breathable and 100 per cent waterproof membrane plus a removable thermal lining for superb comfort whatever the weather brings. Specially developed for an optimized women’s fit. Multi-panel, multi material construction featuring a PU-coated 450 denier poly-fabric main shell and 600 denier dobby reinforcement for optimized levels of durability and abrasion resistance. Excellent protection against the elements provided by Alpinestars’ DRYSTAR® 100% waterproof and breathable membrane. Membrane features stretch inserts which mirror the stretch zones of the outer garment for superior freedom of movement. Pre-curved legs for comfort while stretch panels on crotch and knee, plus an extensive stretch panel on rear yoke provide enhanced freedom of movement. Optimized for use with range of Alpinestars textile jackets, thanks to a full circumference waist zipper. 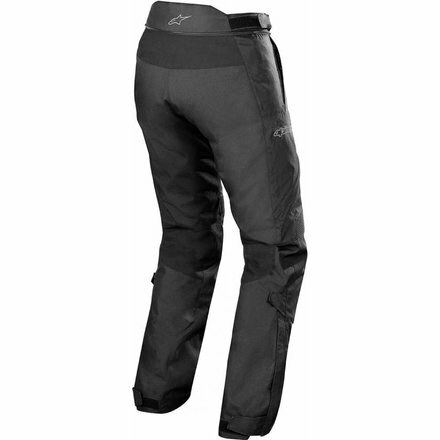 Ventilation system includes zippered thigh openings which allow for personalized and adjustable levels of airflow. Hook and loop grip closure waist and leg adjustments for precision fit in various riding positions. Waist incorporates 3D mesh interior for comfort. Deep zippered side pockets for peace-of-mind closure and safe storage of valuables.